Summer Jobs Student David Lozano spoke to the audience about his internship at Nixon Peabody at the Summer Jobs Graduation last Thursday. 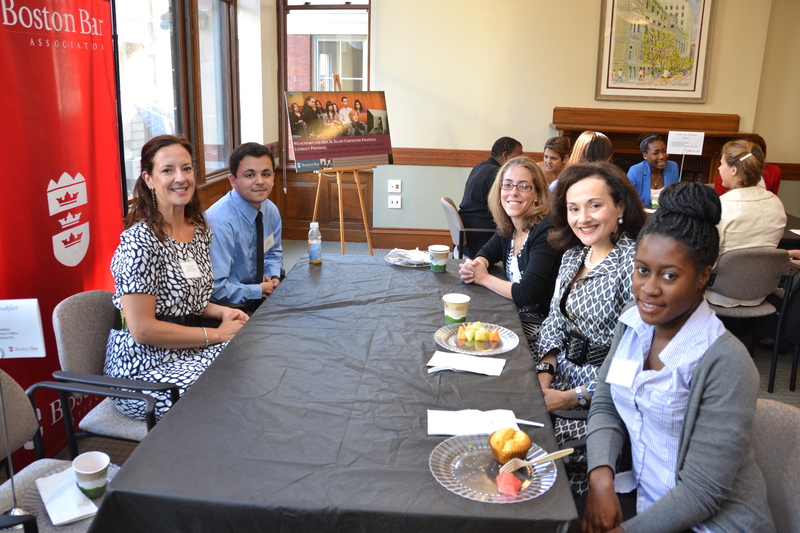 At last Thursday’s Summer Jobs Program graduation ceremony, David Lozano, a rising senior at Boston Latin Academy and intern at Nixon Peabody, spoke to students, parents and firm representatives about his summer experience. David’s speech was so good, and embodies the spirit of the Summer Jobs Program so well, that Beyond the Billable felt compelled to run it in full. “When I went into this job at the beginning of the summer, I wasn’t really sure what to expect. Part of me was hoping for some exciting criminal justice stuff, part of me was thinking about long hours of boring paperwork, and somewhere I knew that I wasn’t going to get anything I expected either. I was also really nervous at the prospect of working in a professional office setting for the first time, especially one as prestigious as that of my host firm, Nixon Peabody. It’s pretty safe to say I had a lot of questions – what do I wear? What kind of work will I be doing? How will I interact with my coworkers? What kinds of standards will I be held to, what kind of stuff will I be able to experience here? Once I started work, I certainly wasn’t disappointed. Once I got the hang of how to operate in this new environment, the actual work I got was another challenge in itself. There were some days where all I had to do was assemble a several-thousand page closing binder for a public works system. 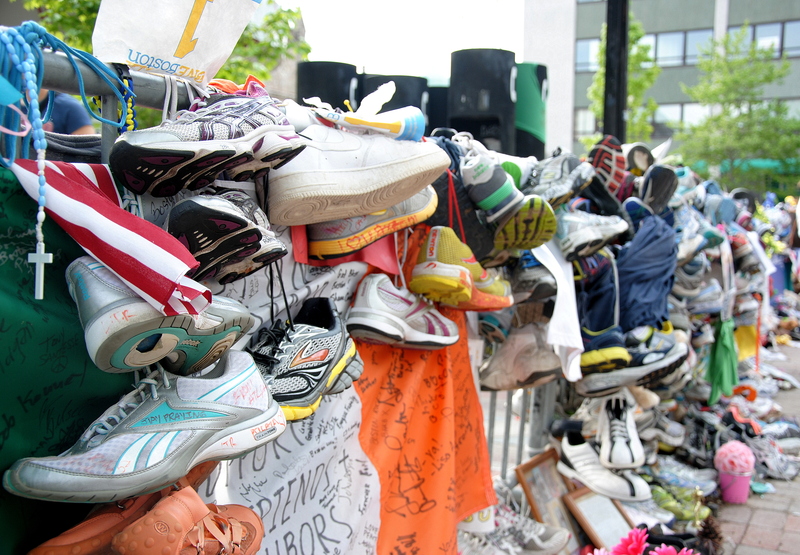 There were some days where I was able to head down to the Bulger trial itself with some of the summer associates at my firm and hear some of the funniest and most absolutely terrifying stories that you’d be hard-pressed to find the likes of in a work of fiction. That was the kind of stuff I was expecting. But, man, I did so much more. The sheer variety of work involved in the legal profession absolutely captivated me, and I shortly found myself doing more work than I ever had inside of school and having more fun, to boot. Every assignment I got was a chance to discover something new. Even work coming out of the same department could be strikingly diverse – take the patent lawyers as an example. From dishwashers to x-ray machines from the 80’s, that place covers everything. I also spent time researching video games for an intellectual property case, I spent time revising and organizing trusts and wills dealing with more money than I’ve ever seen in my life. I rushed to put together sets of binders that would be used in a real courtroom that same evening, dealing with malpractice and real estate law, family trees, zoning policy and the fastest route from Downtown Crossing to the superior court. The amount of things I was exposed to this summer is nothing to sneeze at, and kept me constantly interested in the cases themselves, not just what I was doing with them. With this kind of work – especially research, which I’ve been doing a lot of – it is impossible not to learn something new every day, on anything and everything related to the topic at hand. I’ve learned so much this year, and gained truly valuable experience of the legal field and what it’s really about. The work I’ve done over the past month or two will prove extremely useful to me in the future, whether I do end up pursuing a career in the legal field or not. Thanks to this job, I’ve had the opportunity to see what a typical workplace looks like and have time there well before I go to work for good. I’ve gained a better understanding of the legal process: how complex it is, how a firm works, how the court system works and some of the problems and brilliancies that come with it. I’ve learned why companies sue in an intellectual property case, in what ways a will needs to be updated as your position in life changes, and how fascinating and intense high-profile trials can become. Just as importantly, I’ve learned how to coexist with your co-workers, how to manage your time so you always come out ready and on top, and, y’know, how to tie a tie in under thirty seconds. From efficient alphabetization to the neighborhood politics of Back Bay, the things I’ve had a chance to learn about during my time in this program are going to stay with me for a long time in life – and some of them will be useful to me no matter where I choose to work, some of them even more useful to me as a future lawyer, and some not useful at all but still interesting and significant to my education as a whole. 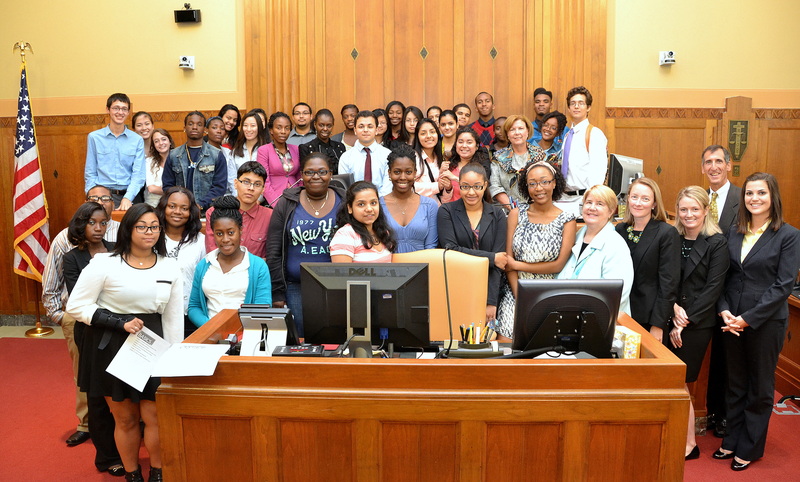 Last Thursday, the Summer Jobs students, their families, and employers gathered at the Adams Courthouse to celebrate the accomplishments of the 58 students participating in the program this summer. 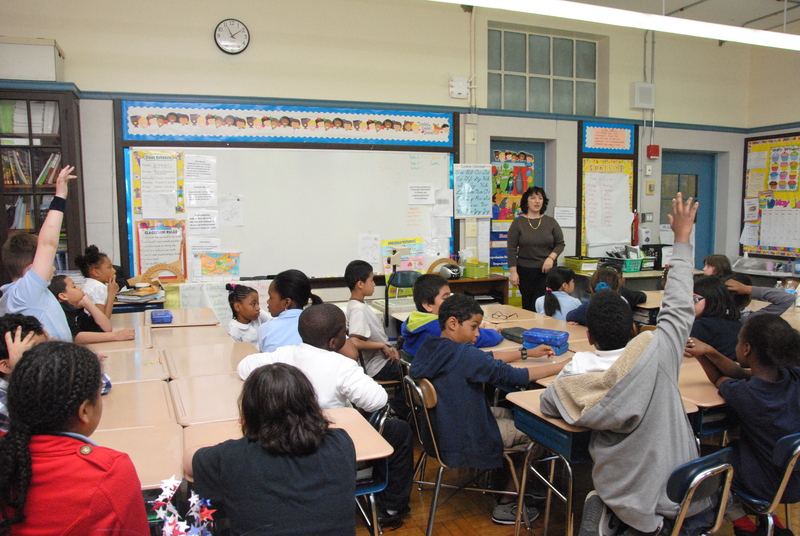 Keynote speaker Rachael Rollins, General Counsel at the MBTA and Massachusetts Department of Transportation, spoke to the students about her own background and gave them advice on how to continue building a successful career. David Lozano, a rising senior at Boston Latin Academy, shared what he learned this summer at Nixon Peabody, and BBA President J.D. Smeallie distributed certificates to the students. 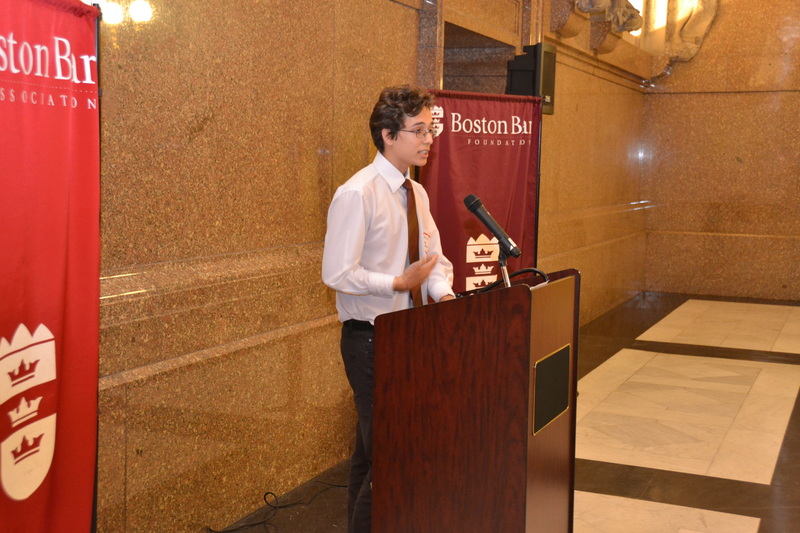 David Lozano, rising senior at Boston Latin Academy and intern at Nixon Peabody, spoke about his experience in the program this summer. Keynote speaker Rachael Rollins (MBTA) addressed the group of Summer Jobs students and gave them advice on how to succeed in their future professional endeavors. Maaza Fadel El Said, a rising junior at Boston Latin Academy and intern at Foley Hoag, accepted her certificate from BBA President J.D. Smeallie. 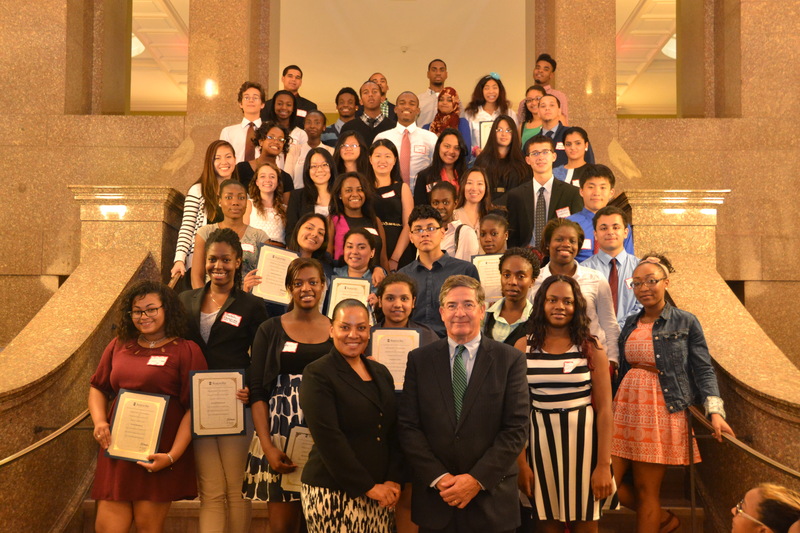 The 2013 Summer Jobs students showed off their certificates while posing with keynote speaker Rachael Rollins (MBTA) and BBA President J.D. Smeallie (Holland & Knight). Amadou Barry and Miguel Rodriguez Figueroa pose with BBA Council member Sheila Hubbard, Executive Director of the Volunteer Lawyers Project). 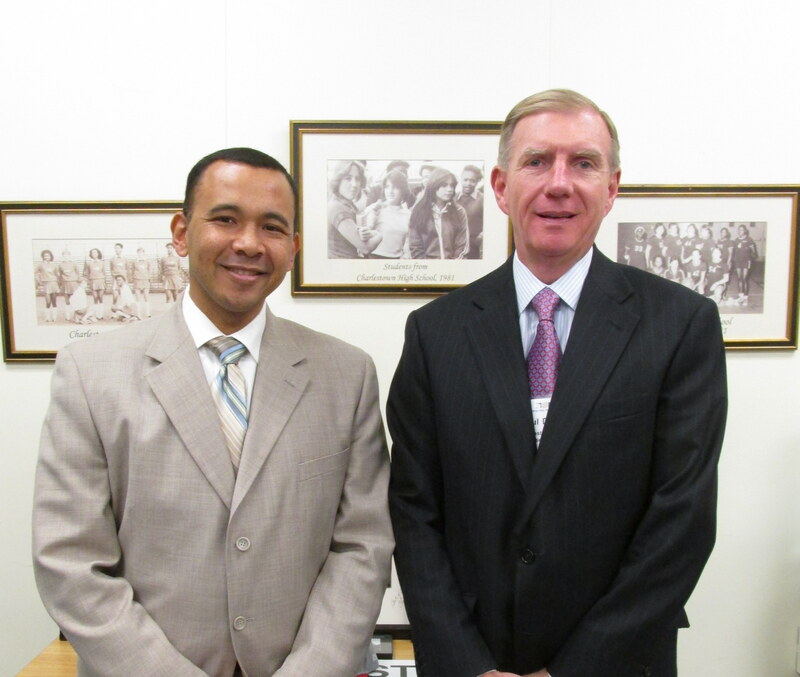 Amadou and Miguel interned at the Volunteer Lawyers Project this summer through the BBA Summer Jobs Program. Summer Jobs students Yewellyn Sanchez and Patricia Rodriguez, who interned at the Boston Bar Association, showed off their certificates while posing with family members at a reception following the graduation ceremony. The students wrap up their summer internships this Thursday before heading back to school or off to college. As the BBA prepares to graduate 58 summer jobs students, Beyond the Billable wanted to take the opportunity to look back at some of our past graduates to see where they are now. Fortunately for us, we had a chance run in with Sam Faisal, who interned at the BBA last summer through the Summer Jobs Program. During our chance encounter with Sam we found out he is spending the summer working for William Roa, a public defender in Boston. He has been going to court, interviewing clients, and preparing for the start of a new case next week. 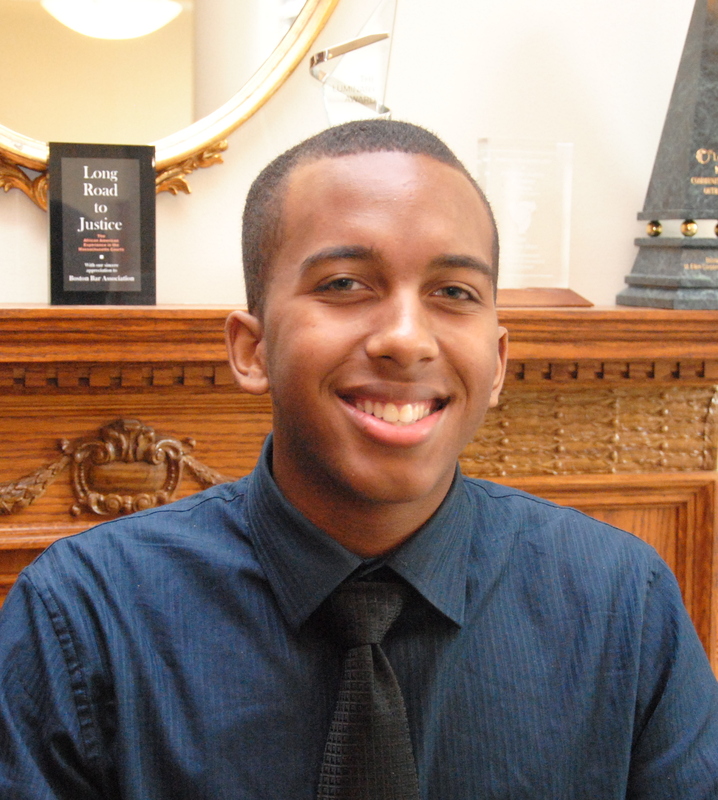 Sam is a rising sophomore at Johnson & Wales University where he studies criminal justice. 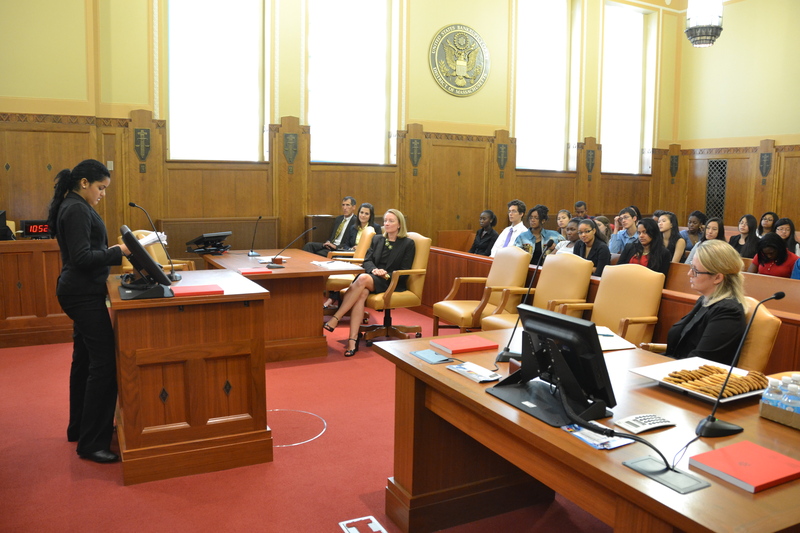 The Summer Jobs students participated in the Consequences module of the Financial Literacy Program this morning at the U.S. Bankruptcy Court. 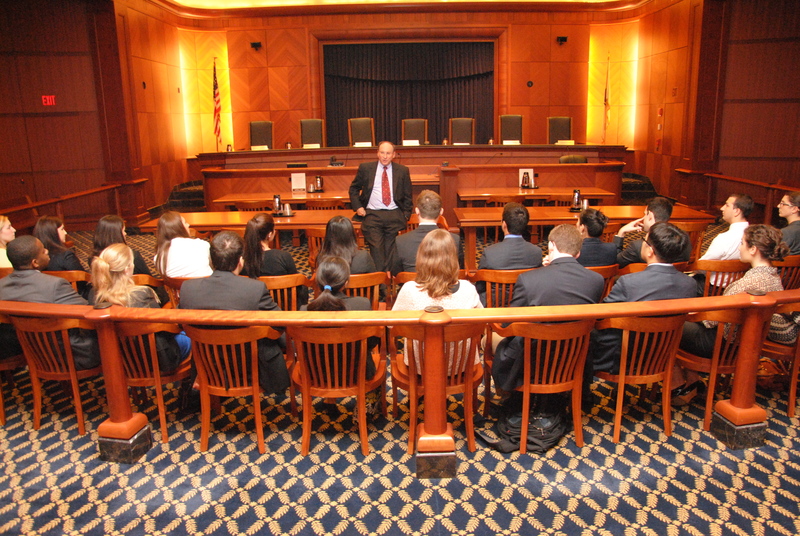 At the last session of the BBA’s Financial Literacy Program, the Summer Jobs students received firsthand lessons about the consequences of poor financial decision-making directly from the source — the U.S. Bankruptcy Court. 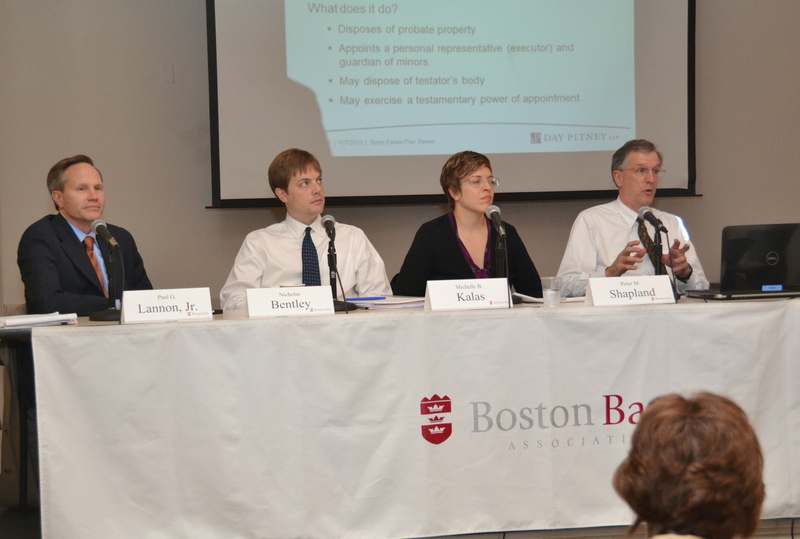 With the help of Judge Joan Feeney and a number of volunteer bankruptcy attorneys, the students witnessed a mock Meeting of Creditors and mock Chapter 13 hearing. The session finished with a brief presentation by Beatriz Mejia, a BBF-funded students who interned at the U.S. Bankruptcy Court this summer. 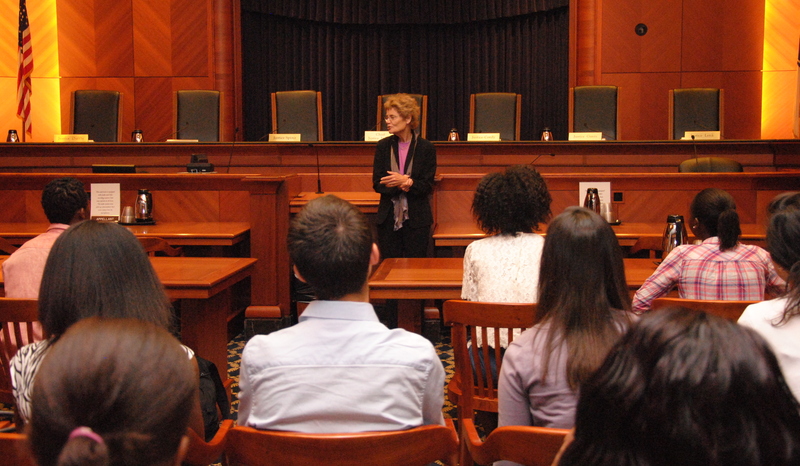 She outlined the different chapters of bankruptcy and reiterated the importance of saving and planning your finances for college, especially because students loans are nondischargeable in bankruptcy. 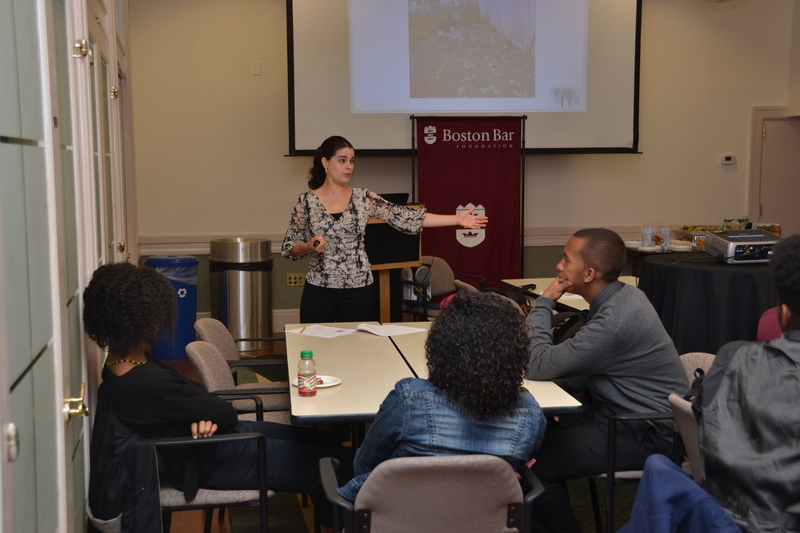 Beatriz Mejia, a Summer Jobs intern at the U.S. Bankruptcy Court, walked the students through the different chapters of bankruptcy. 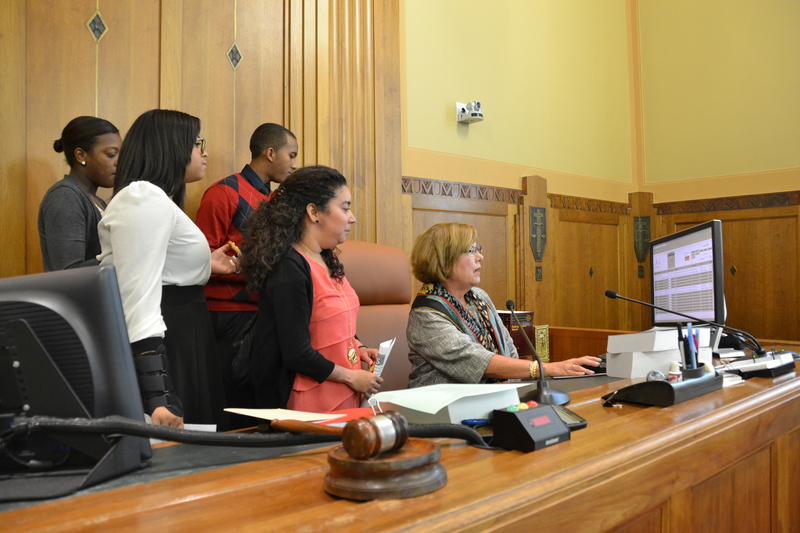 Judge Joan Feeney showed the Summer Jobs students how the court’s computer system works during their visit to the U.S. Bankruptcy Court. The BBF hosted a breakfast this morning for the 13 BBF-funded Summer Jobs students, their employers, and the sponsoring firms. 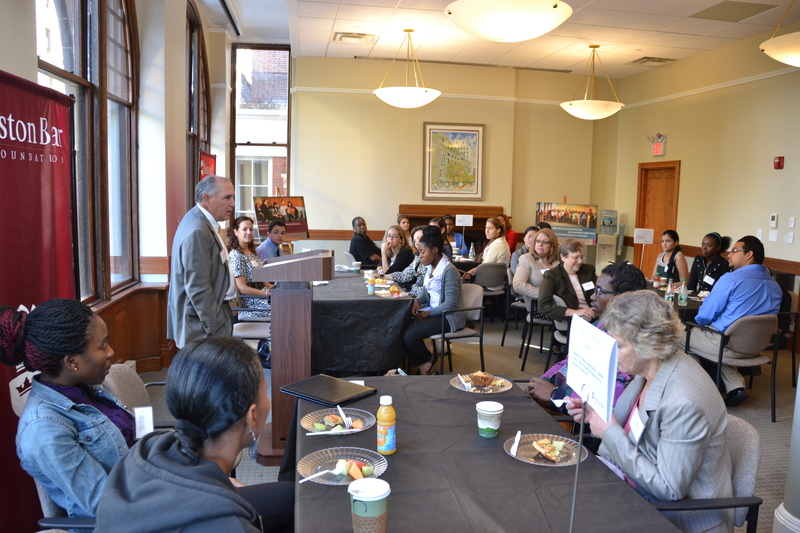 This morning, the BBA’s Claflin Center was abuzz with Summer Jobs students exchanging stories about their summer positions, including interesting office projects and recent courtroom experiences at the BBF Summer Jobs breakfast. Thanks to donations from a number of local law firms, the BBF increased its support of the Summer Jobs Program by funding 13 positions at nonprofit and government agencies this year. In order to celebrate this record-breaking year and the hard work of the students, the BBF hosted a celebratory breakfast to thank the firms for their donations and congratulated the students on their hard work this summer. Last week BBF students shared their favorite experience of the summer with BBA Week, and this morning they had the chance to share with those who made their summer experience possible. 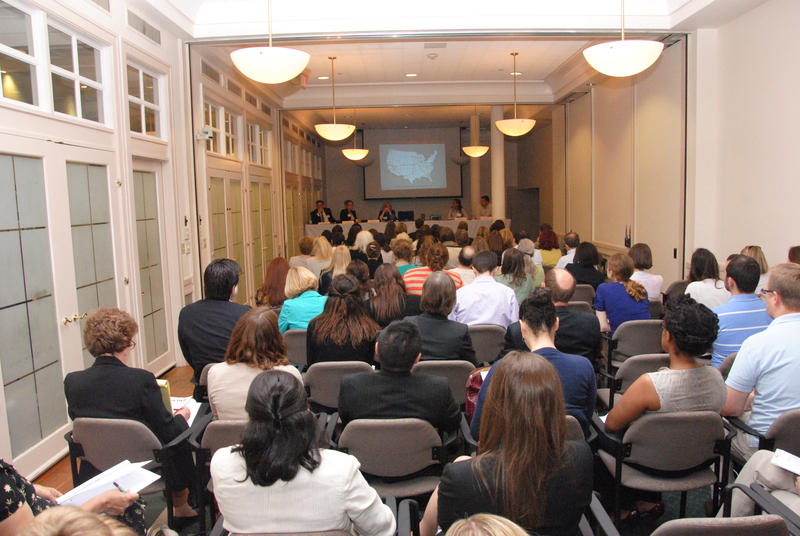 Christina Miller (Suffolk District Attorney’s Office) and her summer intern Benjamin Haideri and Georgia Katsoulomitis (Massachusetts Law Reform Institute) and her summer intern Sarah Williams shared their summer experiences with Kate Carter (Dain Torpy, P.C.). Dain Torpy, P.C. 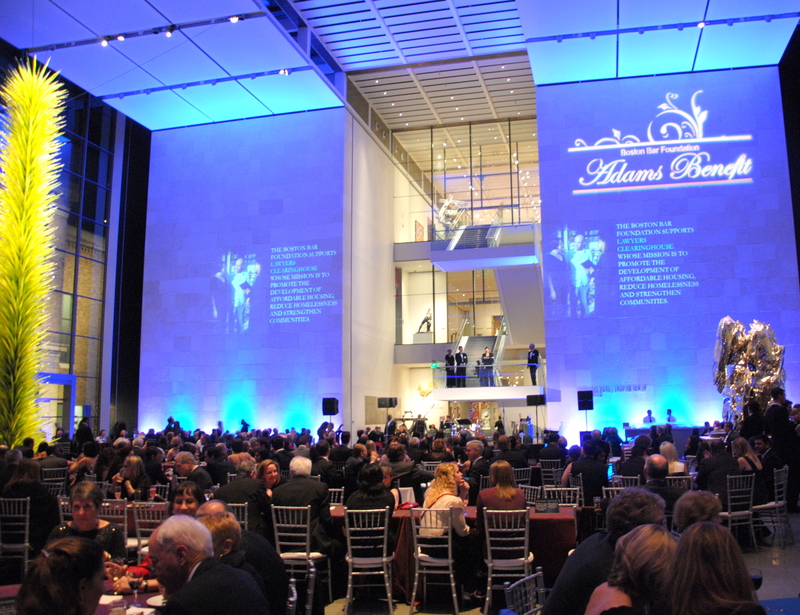 generously donated to the BBF to support the Summer Jobs Program. Summer Jobs Steering Committee Co-Chair Ned Notis-McConarty (Hemenway & Barnes) thanked the sponsoring firms for their support of the program and encouraged the students to share what they have learned this summer. 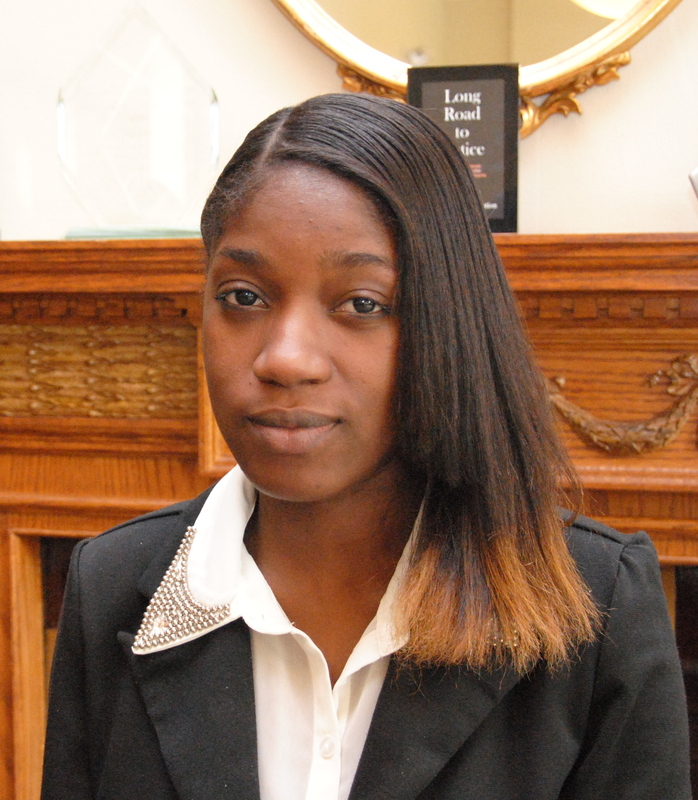 BBA Week features two articles that highlight the Summer Jobs students at the their placements. 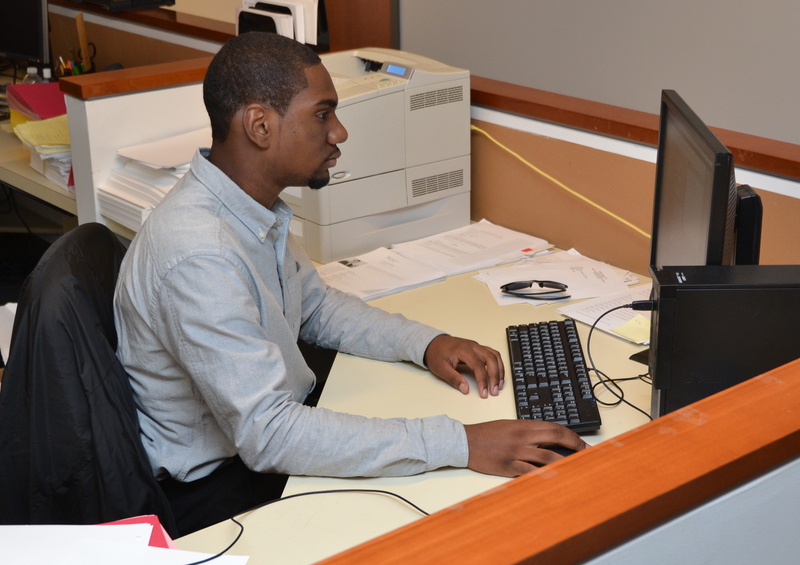 Stephan Pierre, a rising senior at Brighton High School, is interning at Hinckley Allen & Snyder this summer. 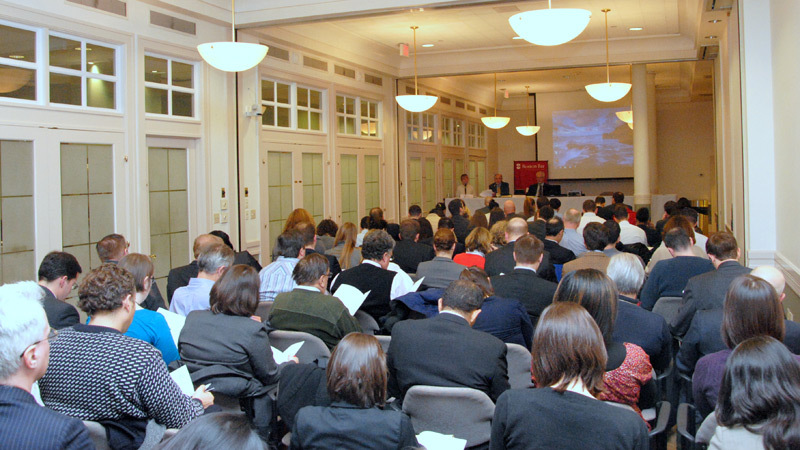 Throughout the summer, Beyond the Billable has updated readers on the Summer Jobs Program, including the enrichment seminars and kickoff event. Last Thursday’s BBA Week featured two great articles that show a closer look at the day-to-day experiences of the students in their job placements. 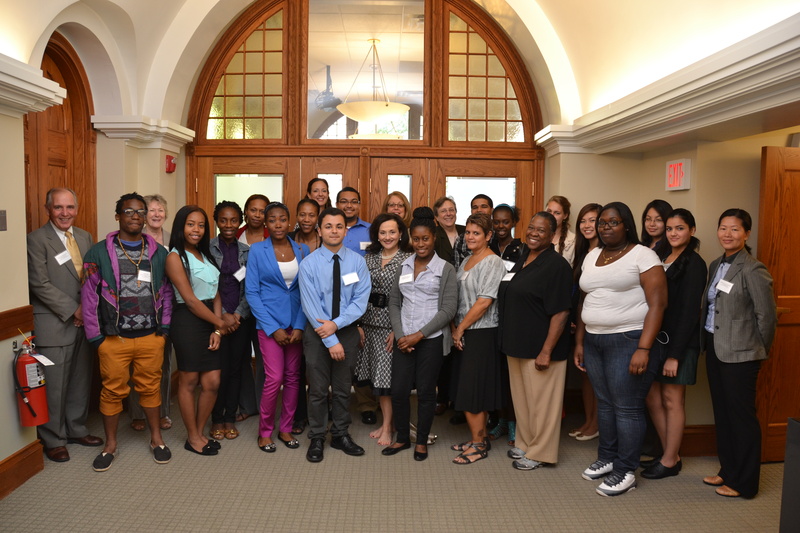 In the first article we hear from the 13 Boston Public High School students funded by the Boston Bar Foundation on their work this summer at local nonprofit organizations and government agencies. The second piece is the first in a series of articles showcasing students and their summer internships, including feedback from their supervisors. The BBA Summer Jobs Program wrapping up in the coming weeks, so check back soon to hear what students have to say about their summers. 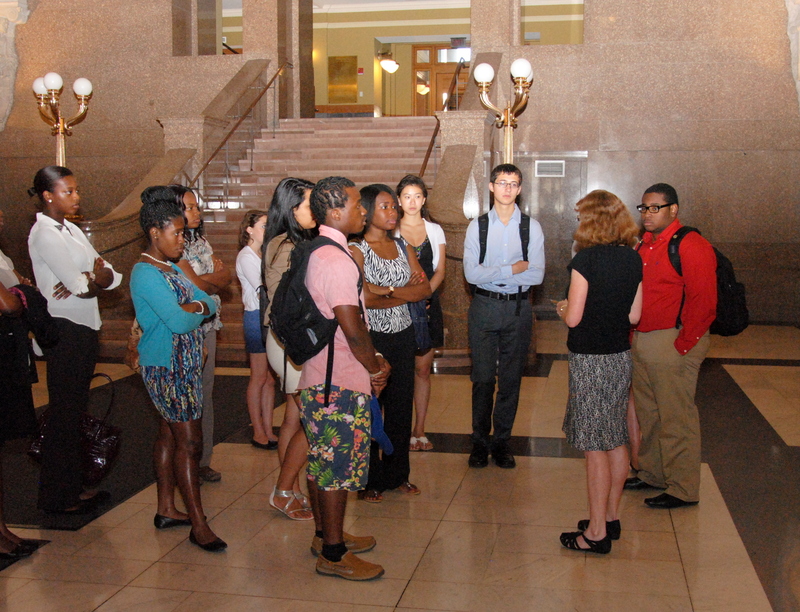 Jillian Vorce spoke with the Summer Jobs students about professional networking this morning. 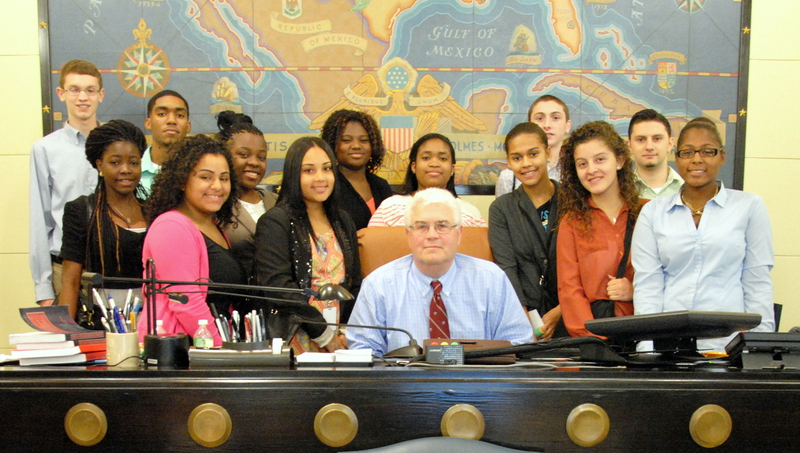 This morning at 16 Beacon, BBA Summer Jobs students milled around the room smiling and shaking each other hands. 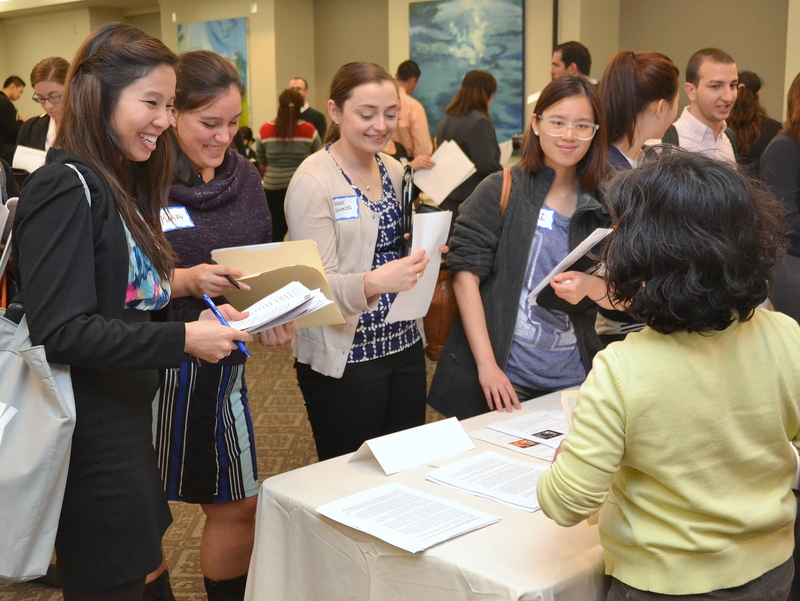 No, they weren’t just happy to see each other – they were participating in an exercise as part of their most recent enrichment seminar on professional networking. Jillian Vorce from the Jillian Group led the exercise and provided the students with advice and guidance on the importance of networking, tips on how to network, and ways to continue to nurture your network. Jillian emphasized the importance of “building your bridge before you need it,” and encouraged the students to start building a network while they were in high school. 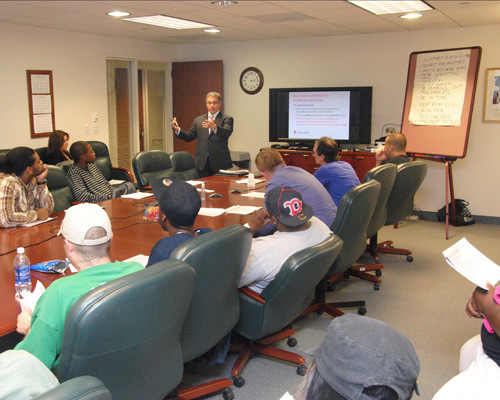 The Summer Jobs students will attend their last Thursday morning enrichment seminar at the U.S. Bankruptcy Court next week. The Nelson Fellows completed the M. Ellen Carpenter Financial Literacy Program with a trip to the Bankruptcy Court for the Consequences module this morning. 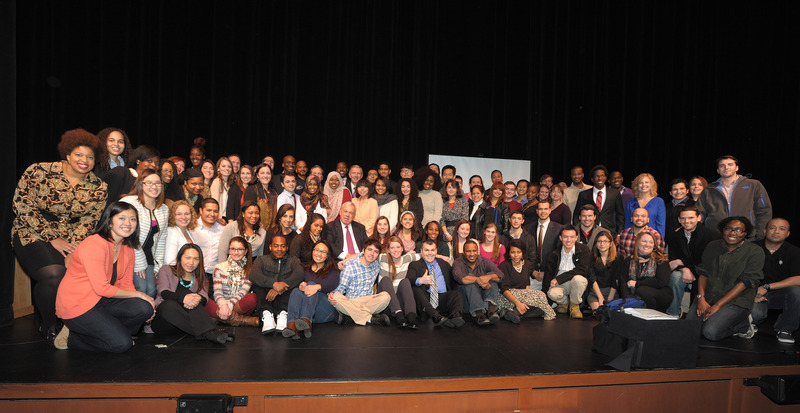 The BBA and its group of volunteers were thrilled to offer this program to more youth in Massachusetts.